Don’t mix grains by mistake: GMS Inventory ensures that only the correct commodity goes into a bin and only similar commodities are blended on load out. Don’t wait to find out what’s happening: GMS Inventory runs in ‘real time’. As soon as the truck driver receives his ticket, the inventory system is updated to show that truck’s grain in the correct bin and with the new overall quality. Don’t give away money: GMS Inventory calculates the lowest cost blend that will exactly meet your customers’ requirements so there is no need to ‘give’ product away trying to meet grade. The AutoBlend features allows the manager to enter the grade factor requirements that the customer needs and then the program runs thousands of calculations in a few seconds to find the lest cost solution. Don’t re-enter data: GMS Inventory is totally integrated with GMS-Truck and GMS Bulkweighing so as weighing transactions are completed on the scales this information is automatically entered into GMS Inventory without any clerical work. Don’t give up on I.P. 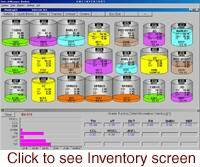 : GMS Inventory monitors the product from the moment it enters the facility to when it leaves. Reports can be run at any time to show where any delivery of grain is at the facility, or which farmers supplied the grain for an outbound unit train or ship. Don’t get stuck with a legacy system: Our GMS Designer ensures that your system can easily be updated as we add features to the system. Plus our whole system is modular so that other components can be added at any time without the need to obsolete existing equipment. PLC Integration: If your facility is using ultra-sonic bin levels or physical measuring equipment like a SmartBob, GMS Inventory can read this information directly in to show on the screen the physical level in each bin. Easy Physical Stock Taking: Just enter the air space in a bin and the shape of the cone is and GMS Inventory will calculate the amount of grain in the bin by allowing for compaction and the angle of repose of the product. System reconciles to the calculations used by the Auditors. Wizard Reporting! : The standard system has built in reports that can be run by a click of the mouse. For manager wanting to quickly design a custom report without any programming skills the Wizard! Reporting system is the answer. Reports can be seen on screen, sent to the printer, emailed or loaded into Excel. 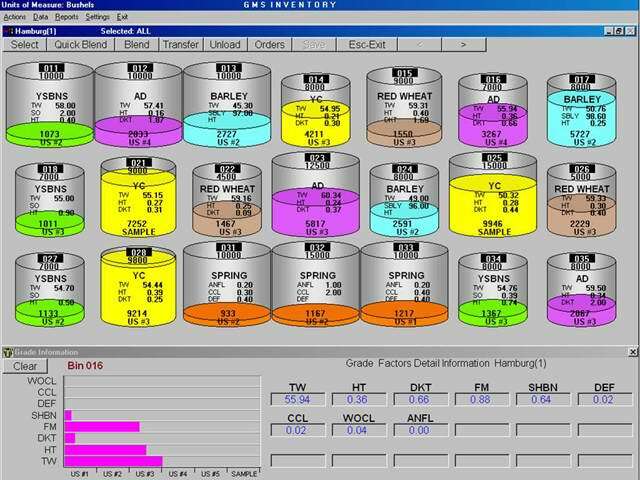 Intelligent Blending: GMS Inventory offers three ways to view blends. QuickBlend allows the manager to click on any number of bins with the same commodity in them and GMS calculates the USDA grade and total weighted average quality for each factor. 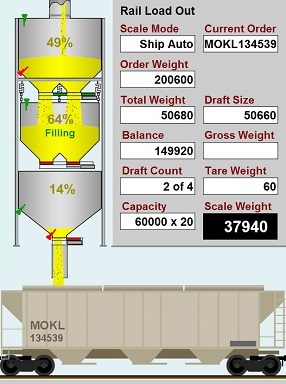 ManualBlend allows the manager to specify the total bushels to be loaded out and the percentage from each bin. GMS then calculates the weighted average blend for this amount. AutoBlend allows the manager to enter the exact blend required including max and min values for specific factors and specifying if required what bins should be specifically included or excluded from the calculation. Using highly sophisticated linear programming we are able to optimize the blend either for lowest cost or closeness to the exact grade factors required. 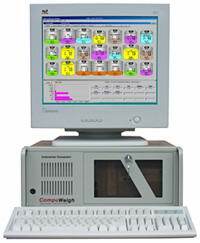 The computers runs thousands of calculations in just a few seconds to determine the best solution. SmartLink Accounting Interface: Allows information collected in GMS to be sent to your Accounting System. System can also extract information like contract data from the accounting system prior to processing the transaction. IP Preservation and the recent Bio-Terrorism Act require that grain facilites be able to show who they bought product from and where it went. GMS Inventory monitors grain from the moment it enters the facility to the time that it leaves. Even if grain is moved from one bin to another, or adjusted for changing moisture all the original information about the product, contract and supplier are maintained so that a full accounting can be provided to satisfy Government Authorities and customers who need to ensure proper identity preservation.